From the President: Elite Eight! Let's Rally! 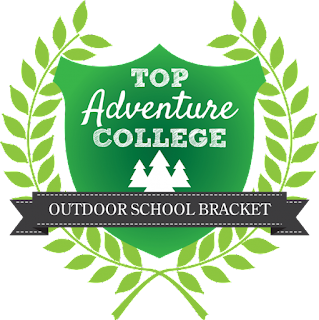 I'm happy to announce that NWC defeated Sierra Nevada College in the second round of Elevation Outdoors’ Top Adventure College Tournament last week! This week we're up against Western State Colorado University and it looks like they've got an early lead! Vote early and vote often (you can vote every 24 hours!) and let's get to the Final Four! Voting for round 3 ends on Monday, June 1 at 9 AM MST. The Final Four voting begins at 12 Noon the same day. Let's get out the vote and show them what we're made of!